How many musical instruments can you play without moving a muscle? There’s at least one: the encephalophone, which turns brain waves into tunes with a beat you can dance to. 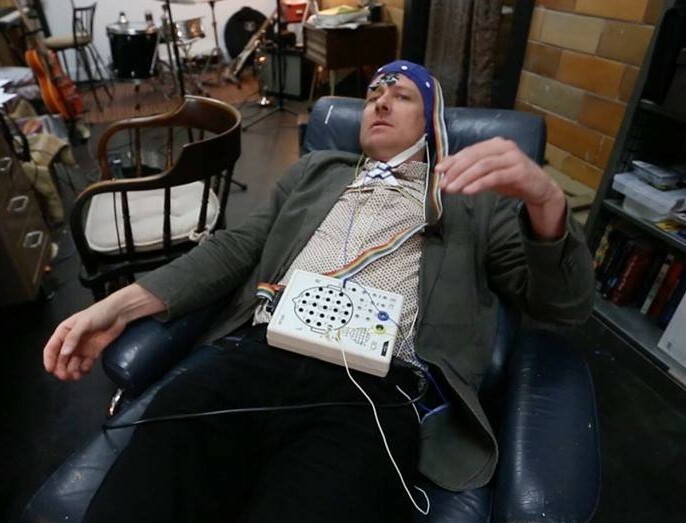 Swedish Hospital neurologist Thomas Deuel will show how it’s done, with the accompaniment of a musical ensemble, on Oct. 22 at Seattle’s King Street Station as part of the 9e2 arts and technology festival. There’ll be an encore performance on Oct. 24. Various types of encephalophones have been around for decades, but Deuel’s contraption (patent pending) has a clinical twist: He developed his version to help train the brains of patients who suffer from neurological diseases, strokes or spinal cord injuries. This entry was posted in GeekWire and tagged Bot or Not, Brain, Music, Neuroscience, Science. Bookmark the permalink.